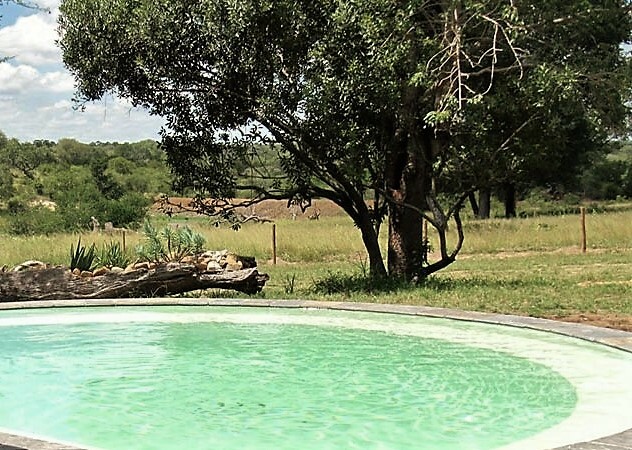 Galago (“bushbaby”) Camp is a traditional style self-catering lodge that is ideal for families and groups that like their own space. It accommodates ten guests in five rooms. Food can be pre-ordered and delivered from shops. 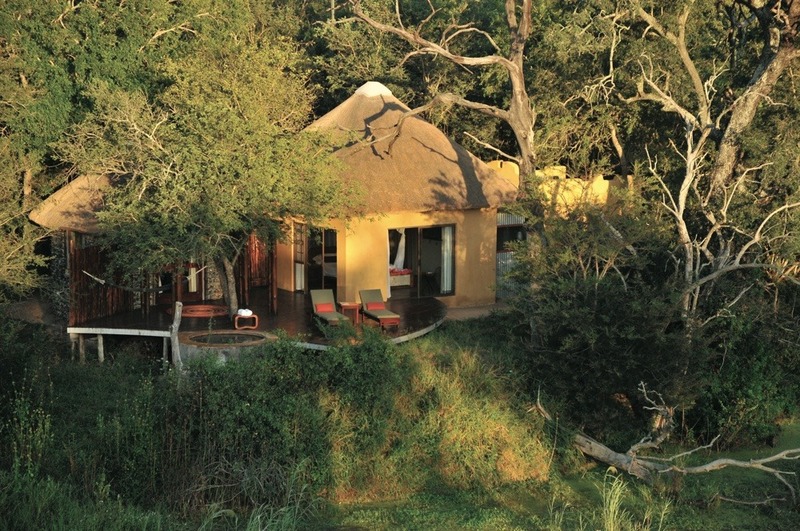 You will have your own Djuma guide and tracker at your disposal. 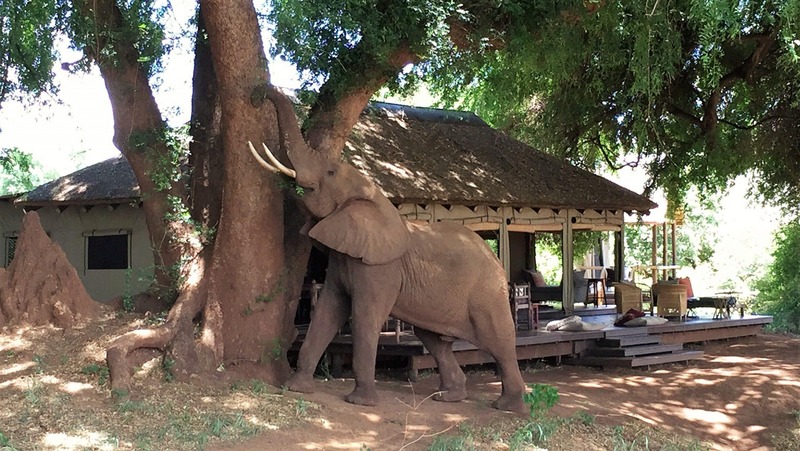 Big Five viewing is excellent. 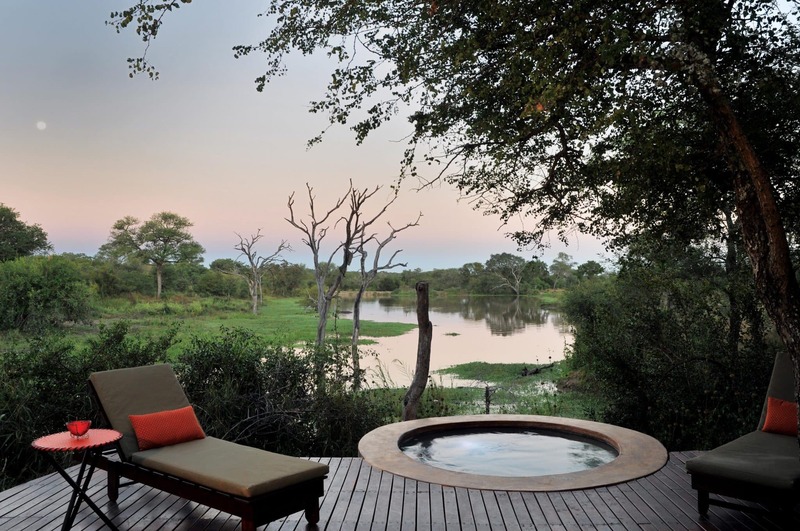 The area, Djuma, offers over 7,000 hectares of exclusive traversing and borders the western unfenced boundary of the Kruger. 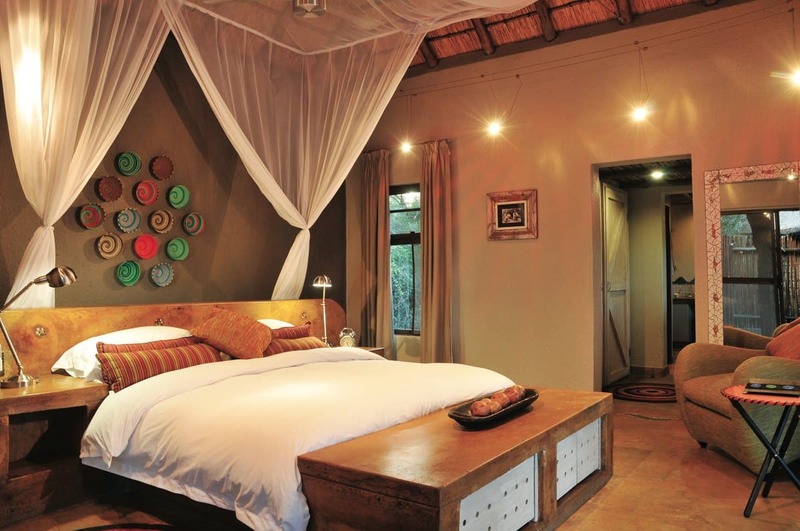 Your traversing rights include the old farm of Buffelshoek in the north of Sabi Sand, shared with one other lodge. 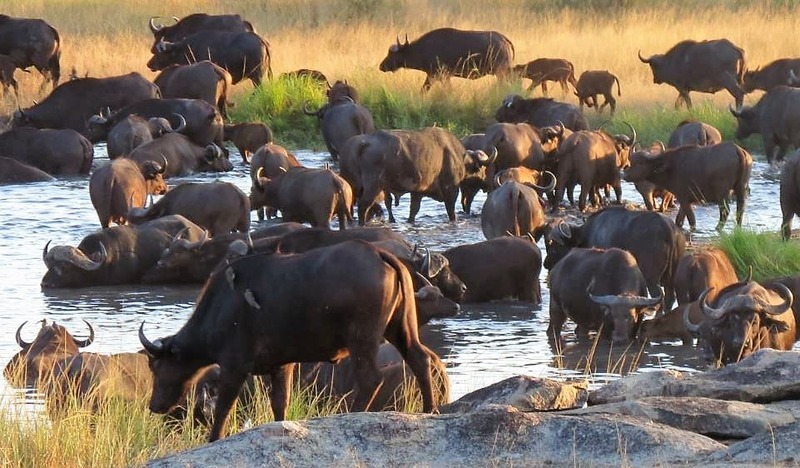 As its name suggests, there are often large herds of buffalo here. Galago can be configured in a number of ways with two adults and two children in any of three suites, the main house and/ or a garden room. 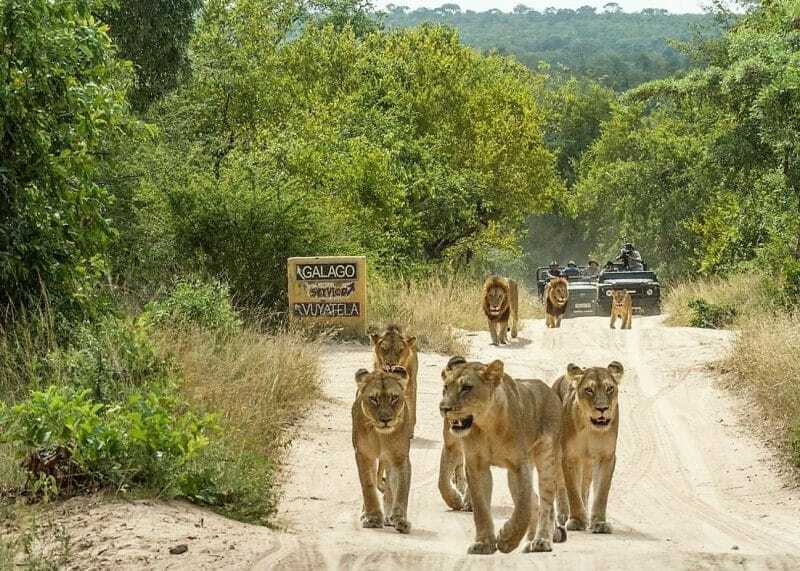 Occupancy is limited by your game viewing vehicle’s 10 seats but you can use the space as you wish. 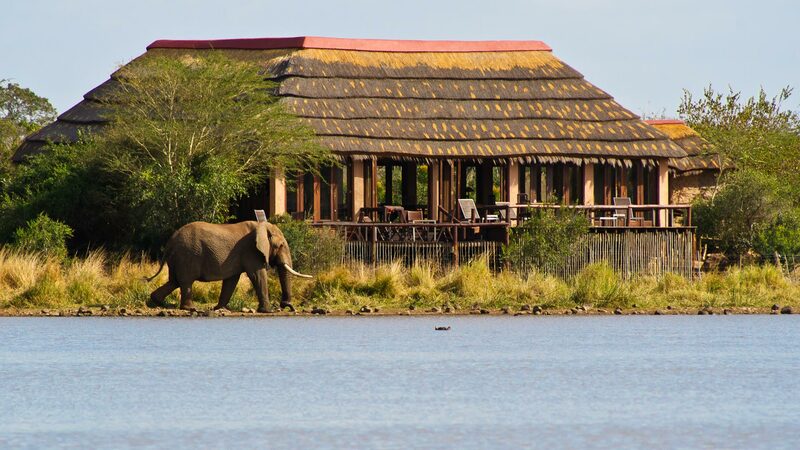 Three suites overlook Vuyatela dam which is rich in game and often visited by the Big Five. The central bush house has a large pool and pretty garden with colourful aloes and lawn. 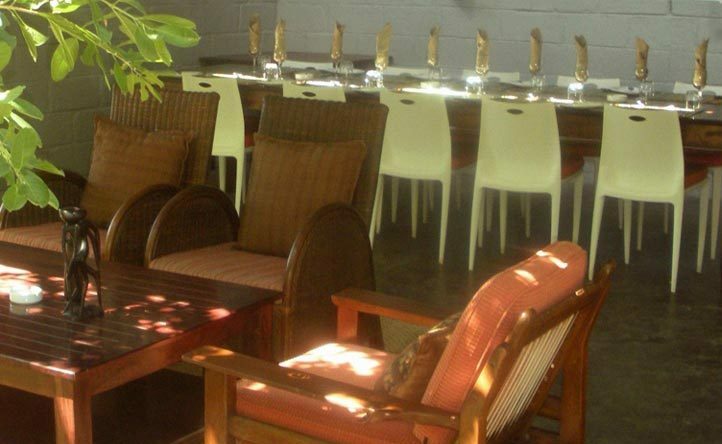 Galago includes both indoor and outdoor cooking facilities and a lovely boma. You bring your own drinks and groceries or pre-order them for delivery. A chef can be arranged prior to arrival.